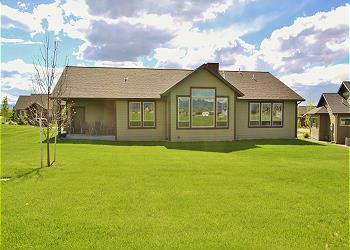 Gorgeous custom home conveniently located on Bozeman's Four Corners area, just west of town close to shopping, fine dining, and only 15 minutes from downtown main street. The home has three bedrooms, two baths and a covered porch that overlooks a beautiful green space and has views of the Bridger Mountains. This home has high speed internet and cable service for entertainment as well as a good stock of games, puzzles and books. BRIEF DESCRIPTION: Built in 2015, this home has been beautifully decorated with mid-century modern furnishings and is a great value for your Bozeman vacation. 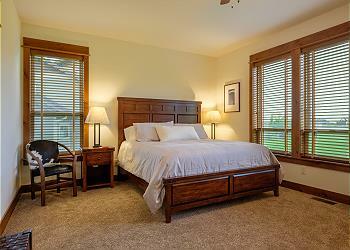 A fifteen minute drive will have you on Bozeman’s Main Street and a variety of great local restaurants, or rent bicycles for a fun ride to downtown Bozeman. Boasting a chef's kitchen with ample storage, a living room with soaring ceilings and a gas fireplace, this home creates a relaxing environment throughout all the seasons of Montana. On summer days and nights, enjoy the outdoors with the covered porch which overlooks a large community green space and the Bridger Mountains, or nestle up to the gas fireplace during the cooler months. 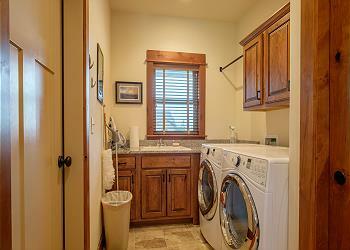 BEDROOMS AND BATHS: Located all on one level, the home has three bedrooms and two bathrooms. The master bedroom has a King size bed and en suite bathroom with his / hers sinks, large soaking tub and walk in natural stone shower. 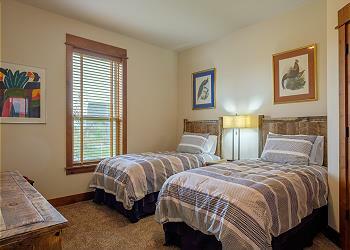 Two additional bedrooms include one with two twins and the other a queen. 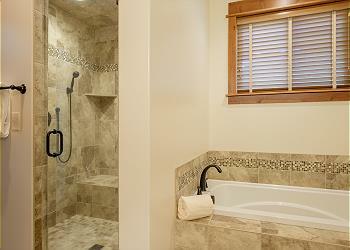 These two bedrooms use the hall bath. 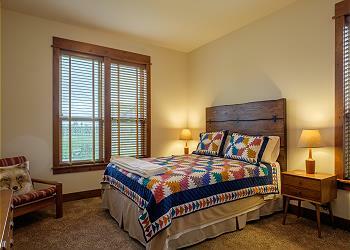 All bedrooms have large closets and beautiful new bedding. KITCHEN: This fully equipped kitchen has absolutely everything you will need for any meal you have planned. From the new stainless steel appliances to the granite counter tops and fine cabinetry, this home is truly a cook’s dream. 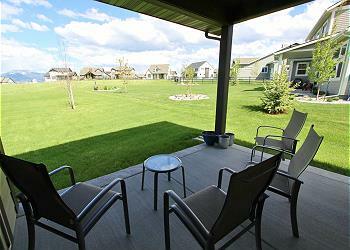 Out on the back deck you will find a covered porch with a new BBQ and comfortable seating for outdoor enjoyment. 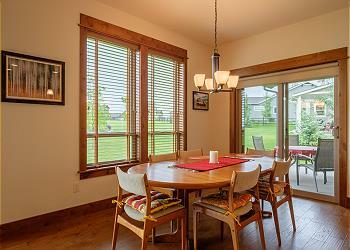 DINING AREA: The dining area adjoins the kitchen, with an authentic mid-century modern dining table with six chairs. There is extra seating for 4 in new wood and leather bar stools at the kitchen island. LIVING ROOM: This home has an open living area, connected to the kitchen and dining area with tall vaulted ceilings and a wall of windows to let in the sun and the views. A comfy sofa and two plush side chairs are arranged for evening conversation or watching a few movies on the television. 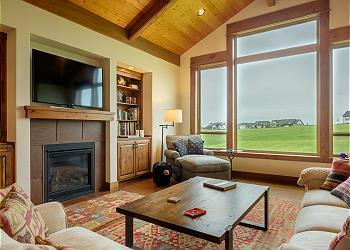 The home has cable service, and a large flat screen TV over the gas fireplace. 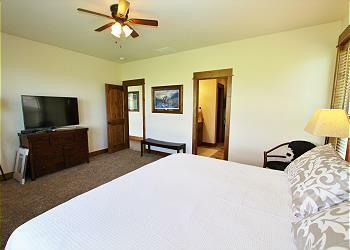 CLOSEST AIRPORT: It's about 15 minutes to the Bozeman Yellowstone International airport. ACTIVITIES NEARBY: A beautiful green space right outside the home offers a chance to just run around for the fun of it or throw a frisbee. 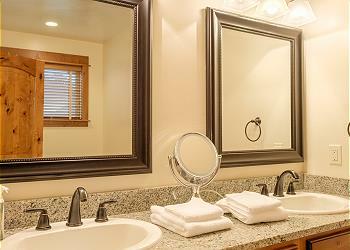 For workout enthusiasts, Bozeman's premier athletic club/spa is just a few miles away. Enjoy hiking and mountain biking in the nearby Bridger or Big Sky Mountains (both less than an hour drive), fishing, golf, white-water rafting, horseback riding and all that the towns of Bozeman and Livingston have to offer. Yellowstone Park is a beautiful 1.5 hours drive away. We loved staying in this lovely home. It looked brand new inside, and was stocked better than any house we have ever rented before. It was an ideal location for us because we wanted to ski both Bigsky and Bridger Bowl. And it was just minutes from downtown Bozeman, so it was a perfect setup for us. I will definitely rent this property again! 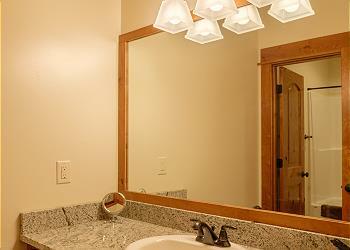 And Mountain Home Rental Company was quite easy to work with. Thanks for making our vacation so enjoyable! Great house and VERY new. Super clean and put together. 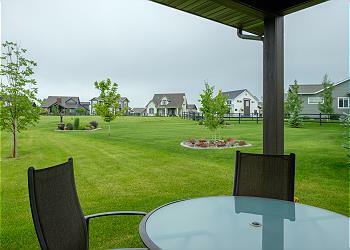 Wonderful neighborhood and location to key sites and downtown. We spent 14 nights in this house so got to know it pretty well. The first week we were there the temps were in the 90's and pushing 100 at times. It's important to note, that this home does not have air conditioning. Probably the only home in this new neighborhood to not have that basic item. Additionally, the use of the garage is not granted to the renter, that was a surprise. The problem with that is we had a fair amount of outdoor gear that all needed to be in the house. Fortunately we did not have mountain bikes with us on this trip. Other than those two items, an outstanding rental. We spent a wonderful few summer days at this beautiful home. The house feels like it is brand new and is super clean. The beds and furniture are comfortable, bathrooms lovely, views fantastic and the kitchen is about the best equipped we've ever had. The neighborhood is quiet and has miles of wonderful trails for exercising and taking in the spectacular views of the surrounding mountains. 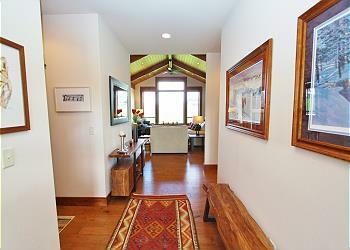 The location is great for heading up the Gallatin toward Big Sky and also a quick zip into downtown. We would definitely stay here again.